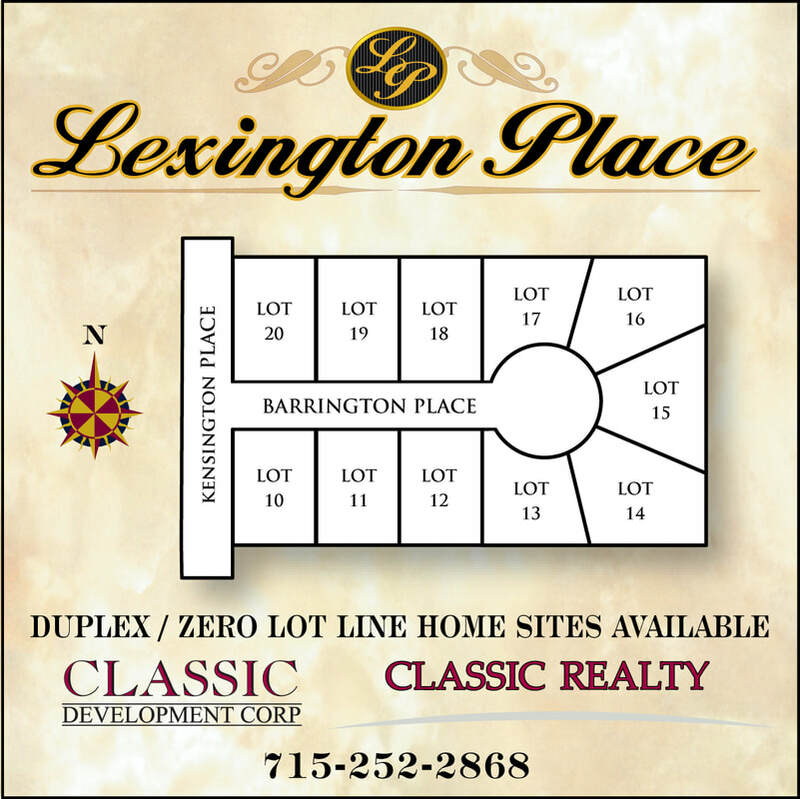 Lexington Place offers affordable duplex home sites in the Village of Plover. Lot Prices start at $38,900 including municipal water and sewer; natural gas; electric; cable television and telephone to the lot line. Directions: WI Hwy 54 West to Cleveland Avenue South (across from St. Bronislava Church). After crossing Forest Drive, East on Barrington Place.